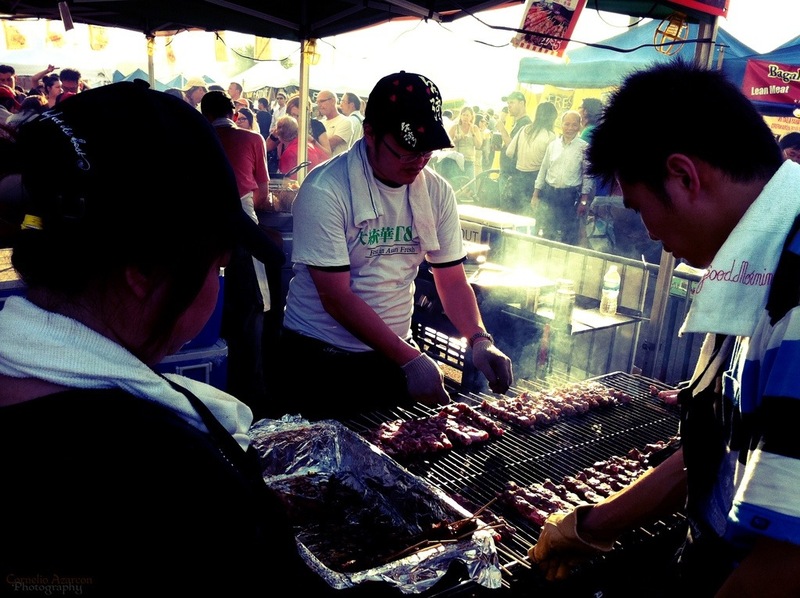 Bring on summer and the Night Market! It’s mid January, and we’re about six months away from summer. I don’t mind the winter, but summers bring the fun and food outdoors. The Greater Toronto Area is filled with fun-filled events and with it, an ample supply of food. To name a few, there’s the ribfest, which almost every city’s rotary club hosts. There are cultural festivals every weekend held in Toronto’s harbourfront, and summer 2011 also rung in the first of three food truck socials for the year. As I’ve mentioned, we’re close to six months away from summer, and the varied lineup of food festivals, so might as well dwell on the past, more specifically, last summer, and reminisce the best of times. One of the highlights that I hope would be back is the Waterfront Night Market. Click HERE for more info. The night market was held from July 21-24, 2011 in the parking lot at T&T Supermarket’s Toronto Waterfront location. Upon arriving at the site, your sense of smell will be overloaded with the variety of offerings, from freshly shucked oysters, to curried fish balls, to smelly tofu. The possibilities are endless. Most, if not all of the food items offered are very easy to handle, as in handheld food. They’re either served on a stick like the kebabs that are cooked on a charcoal pit, or served in cups or small boat-like paper trays. With so many food items to choose from, you would almost go for broke, but one should consider going to these events with a limit or budget in mind. Nonetheless, the culinary selections are fairly priced and some vendors even offer combos. Aside from the food, there’s also entertainment, and the atmosphere is very casual, perfect for a night out with friends.